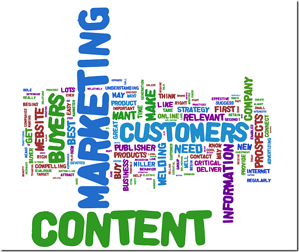 Does Content Marketing Make Sense for My B2B Business? Content marketing has become just as important in B2B as it is in B2C, which is confirmed by a recent Content Marketing Institute and MarketingProfs study. Over 90 percent of B2B organizations now use content marketing to develop their brand and create demand. Evidence shows that B2B content marketing is rapidly rapidly being adopted and this trend will continue to rapidly grow next year. Despite this trend, small and mid-market (SME) executives still seem to struggle with understanding the basis and value for content marketing, and even the fully understanding what B2B content marketing really is. To that end, here is a simple primer on content marketing for B2B companies. Businesses can attract clients by sharing a wealth of content online and in their marketing materials. At its core, content marketing is about attracting business with informative content instead of persuasive techniques. Developing relationships that can be nurtured is proving to be more valuable and productive than cold calling or trying to convert leads as soon as possible. Perhaps the worst thing you can do in today's economic climate is to keep bugging a prospect after they've told you "no" more than once. Though, just because they say “no” today doesn’t mean they’re not going to be good customers tomorrow. Content allows you to bridge the gap. The reason B2B content marketing is increasingly popular is that time efficiency has become so important to executives. Many decision makers no longer have the time to listen to marketing pitches. More than ever, trust is a strong factor in business relationships, while experimentation with budgets is viewed with caution. Sharing valuable information is what attracts loyal customers. Content has a big edge over traditional B2B marketing because it builds an asset rather than incurring a continual expense. With content you are constantly making connections and building your community. Content lasts forever. So, even if the prospect who downloaded a white paper today isn’t ready to buy today, the value of the relationship lasts and they continue to engage with your content until they are ready. B2B content marketing serves lead nurturing better than any other means. Studies show that inbound/content marketing generates leads at a cost 62% lower than traditional approaches. Content is about planting seeds for the future and using communication and stories to reframe how people view issues, problems and opportunities. Even though writing all this content can take up a lot of your time, most B2B marketers put a knowledgeable and creative person in charge of crafting the content. Your B2B content marketing can be greatly strengthened by developing a documented content strategy with brand awareness and lead generation as primary goals. Presenting useful information that empowers other businesses is your ticket to long term B2B marketing success.